A few years ago, I bought my first home. It’s not a mansion or anything, but it’s mine and I love it. I want my house to look its best. I guess that is what they would call the pride of ownership. One big component of getting my home in tip top shape is the yard, in particularly the lawn. Lawn care matter, friends. I have a big yard so there’s lots to take care of to make my home stand out among the others on my street. I’m a big believer that the little things you do can make a big impact. While you’re busy with your spring cleaning, don’t forget about your lawn. Add it to your to-do list now, once the snow melts, of course! Follow these spring lawn care tips and you’ll be well on your way to a lush, beautiful and green lawn to enjoy all summer. 1. Tune up your lawn mower. I always hold my breath after the long winter to make sure it still works. Fill your mower up with gas and check to make sure it’s still running properly. I just did mine last weekend and discovered it had a flat tire. Eek! 2. Grab the rake. Give the grass a good rake to remove thatch and matted patches. You may be thinking that you just raked in the fall, but you’ll need to do it again in the spring, too. It will help remove any dead grass and prep the lawn for the season to come. 3. Overseed. You’ll want to do this as soon as you can. Look for the thin areas of grass that need a helping hand. 4. Don’t mow your lawn too short. It’s tempting to want to do this, but don’t. You should aim for a grass height of 6 to 8 cm. It will help it grow better. 5. Leave the grass clippings. Instead of raking them up, save yourself the extra work and let those grass clippings stay where they are. They’ll help provide your lawn with nutrients. 6. Aerate your lawn. I think this infographic from TruGreen explains it best! 7. Hire the professionals. 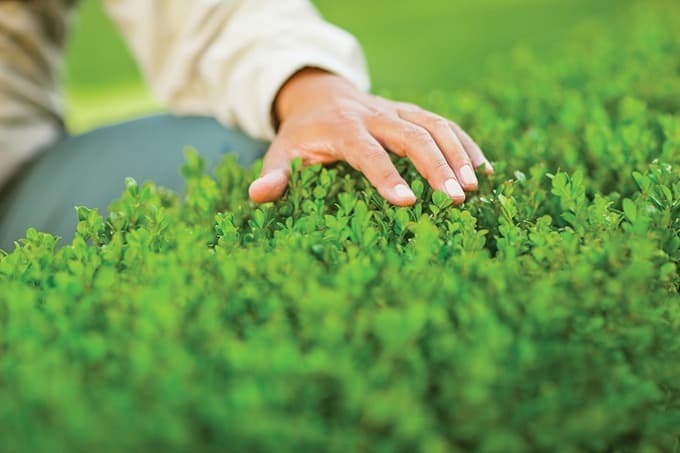 If you’re feeling overwhelmed and don’t know where to start, consider bringing in the lawn care professionals. TruGreen has a variety of lawn care plans to help you get a beautiful lawn you can be proud of. Natural and organic services are also available. They have a team of agronomic scientists who are familiar with the conditions in your area who can provide science-based solutions to give your lawn everything it needs to look its best. 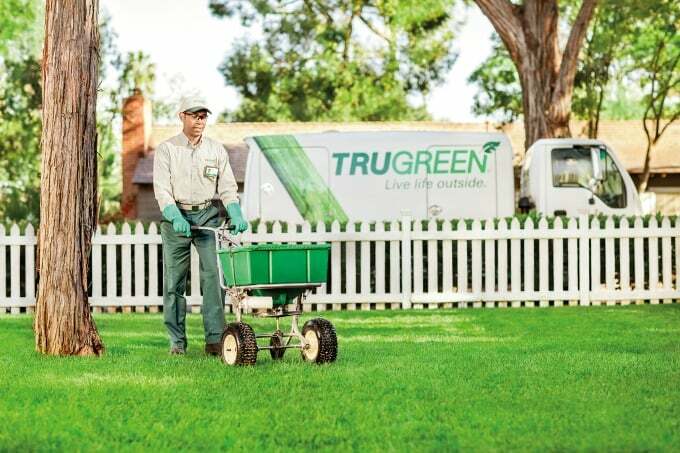 Visit TruGreen today and get a quote to find a lawn care plan that’s right for you. 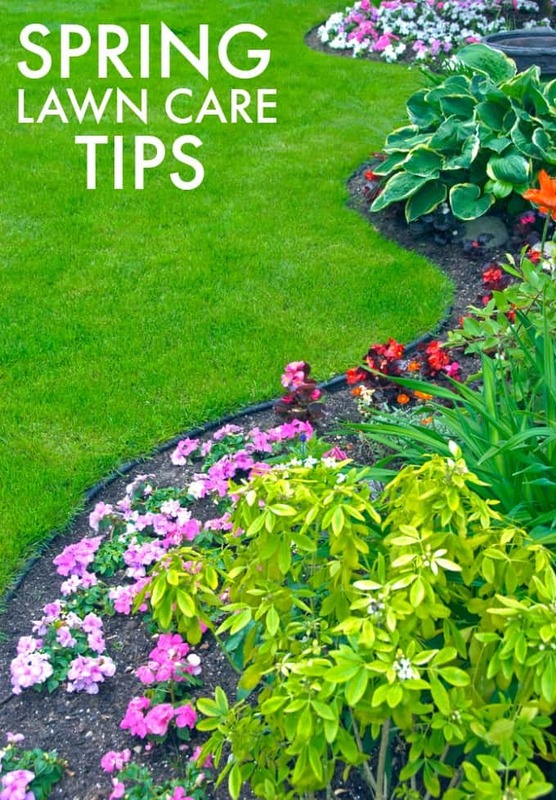 Do you have any spring lawn care tips to share? These are some great tips–thanks for posting! I can’t wait to see flowers, green grass, leaves on trees and everything else that comes with warmer weather especially since it was 26 degrees today in southern Ontario. I have been working in the lawn all day. I actually have never aerated our lawn ever in 35 years. It is always a constant battle. I have creeping charlie which there seems to be no cure. I do need to rake though and get all he mess up! Very useful tips for a garden newbie like me! I am too guilty of having our lawns too short… I just really like the look of short grass.